“The Land of Pharaohs” is your outstanding destination to spend terrific time either on vacations or in your leisure time. 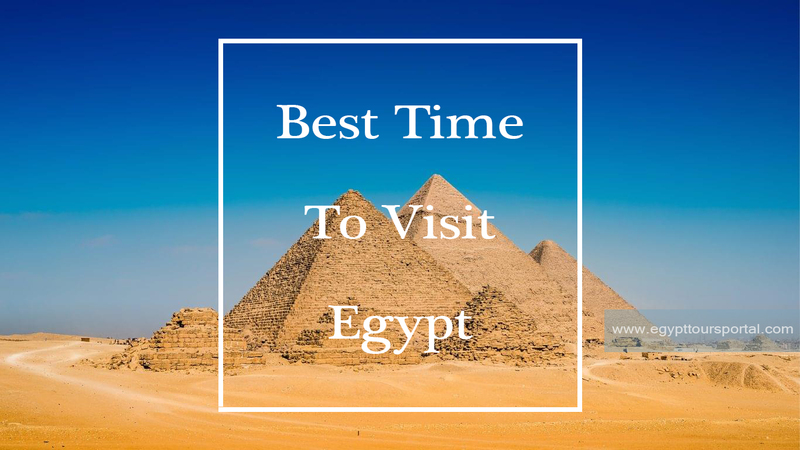 Tens of Thousands of tourists come every year to visit the memorable touristic sites in the motherland “Egypt” because of the beautiful weather in different areas of Egypt during the year that is mixed with beautiful sceneries and great history. There are large amounts of touristic sites and historical monuments that date back to the era of pharaohs who were responsible for leaving such a mesmerizing civilization and the long lasted historical destinations. So let us first speak about the climate in Egypt and mention the best time to visit Egypt. Egypt is a country that has a beautiful variety of weather temperature through its different regions and sites. The temperature in Egypt ranges between 37c to 14 c. Summer in Egypt is somehow hot and winter is cool and mild but sometimes it becomes cold at night. The average of low temperatures vary from 9.5 °C in wintertime to 23 °C in the summertime and average high temperatures vary from 17 °C in wintertime to 32 °C in the summertime. The temperature is moderate all along the coasts. The weather in Egypt considers being one of the top reasons for Egypt tours. Represents the best time for both tourists and locals in Egypt as the temperature is moderate in such a season but they have to avoid “Khamsin Wind” between March and April as you may find dust and sand in the air. There is an interesting festival in spring which is “Sham Ennessim”. 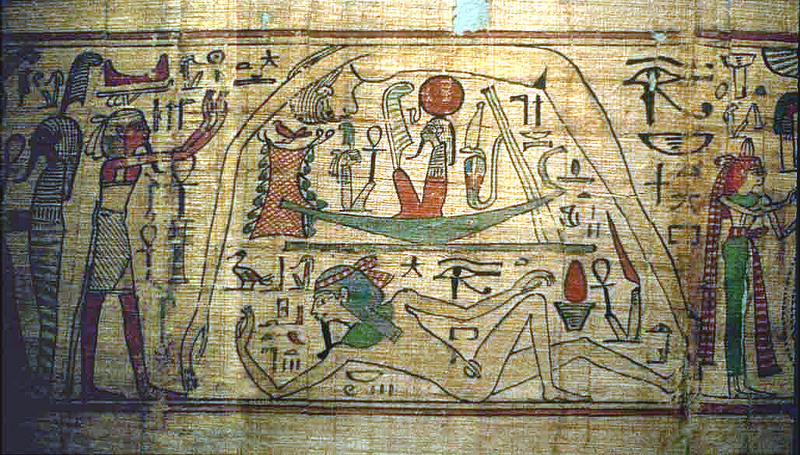 It is an Egyptian National Holiday, which falls on the day after the Eastern Christian Easter. It is a very interesting celebration as people spend all day out picnicking in any space of green, public gardens, on the Nile, or at the zoo, eating the traditional food of Fesikh “Salty or Dried Fish”, lettuce or green onions, and colored boiled eggs. Check our Egypt Easter tours and book your dream vacation in Egypt if you wish. The summer in Egypt is sometimes hot especially Upper Egypt. There are many interesting activities you can do in the summertime just like visiting the great touristic destinations and witnessing the glorious life of the ancient Egyptians. You can enjoy the Egyptian beaches, resort, and have trips to the different coastal beaches like Hurghada and Sharm El-Sheikh. If you are an adventurous person, you can try the quad bike safari to discover the golden sand of Egypt with the different areas there and all of these activities you can find in our Egypt tour packages. Autumn in Egypt is a nice season like spring when you can spend a good time in Egypt and prices become so reasonable. Nile Cruises are awesome in such a time during the year to visit the memorable touristic locations in Egypt. The winter in Egypt is the highest tourist season. The Coptics of Egypt celebrate Coptic Christmas on the 7th from January and you shouldn’t such a celebration. In such a day, most Christians go to the Coptic Orthodox church and they start having their unique traditions. After the Christmas celebration, Christians go back home to eat a fantastic meal and celebrate with their families. It is the best time to visit Egypt and celebrate in the Egyptian streets, cafés, and restaurants while having a Christmas tree and wearing like Santa. Check our Egypt Christmas tours that include an amazing variety of Egypt vacations for you and your family. You can also attend Abu Simbel festival, which is held on 22nd from February and on 22nd of October every year. Abu Simbel temple is the sole reason for which tourists from all over get attracted to Aswan in Egypt. There is a sun festival at Abu Simbel Temple, which can only be witnessed twice every year. The light that streams into the temple, reflects on King Ramses II and the statues of the sun god, illuminate the whole place revealing the brilliant architecture of the place. Ramses decided that this complex has to be lighted up twice a year, once on 22nd of February, on the anniversary to his ascension to the throne and the second time on 22nd of October to celebrate his birthday. 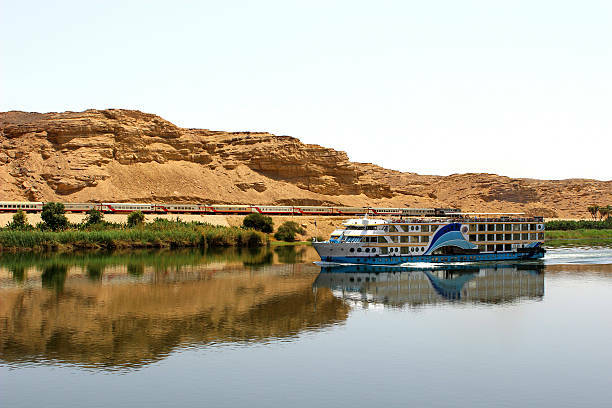 From February to April and from October to November, you can enjoy the most while trying the Nile River Cruise and take a long walk in the trial of Sinai. You can also pay a visit to the most popular Egypt tourist attractions such as Giza Pyramids Complex, Luxor & Aswan, and the memorable Egyptian Museum. 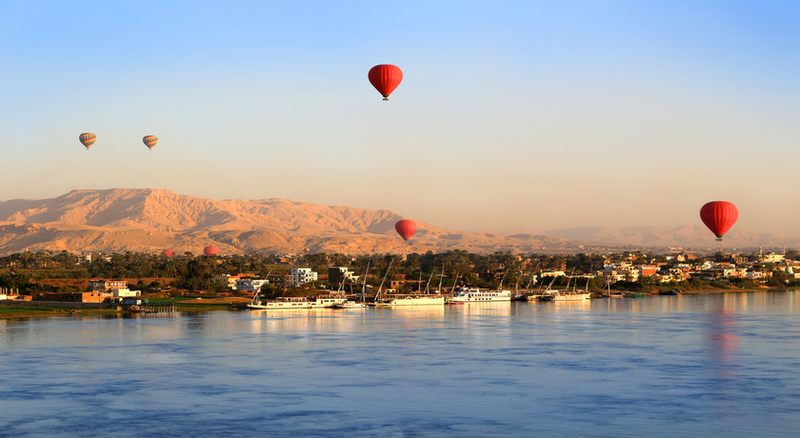 The period from October to April is the best time to try the fanciful Nile Cruises in Egypt. You can also visit the iconic sights like Valley of the Kings and the Karnak and Luxor Temples. From June to September are the peak months for tourists to visit the resorts of the Red Sea. You will have the opportunity to relax and enjoy the beautiful weather of Egypt while sitting on the beach and play with your family or friends. Try to check our Egypt family holiday packages, it’s wonderful itineraries that have well created to suit all families interests. In order to visit the Western Desert, you have to avoid the summer season as it becomes so hot during such a season. From February to April and from September to November you may have the best chance to try a desert Safari and see the amazing beauty of the lands of Egypt. It is known all around the world that Ramadan is a holy month for Muslims when they don’t eat during the daytime. Most of the cafés and restaurants are closed during that part of the year in Egypt except for the touristic sites, hotels, and restaurants. At the end of Ramadan, there are many festivals and celebrations. You can enjoy through witnessing the Egyptian celebration with Eid El-Fitr and the festivals of all the major shops and restaurants in different areas. After this occasion, there is another outstanding eid, which is Eid El-Adha. In this eid, Ibrahim is honored to sacrifice his son Ismail as an act of obedience to the command of Allah. Before he sacrificed his son, Allah provided a lamb to be sacrificed with instead. So every year, Muslims all around the world celebrate this occasion in a splendid 4 days celebration.